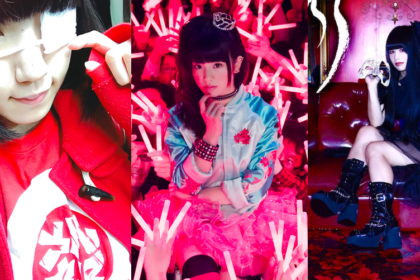 BABYMETAL’s appearance at the Sonisphere festival had sparked a lot of interest amongst UK J-Pop fans – but in the process had also apparently won over a lot of our resident rock and metal fans. 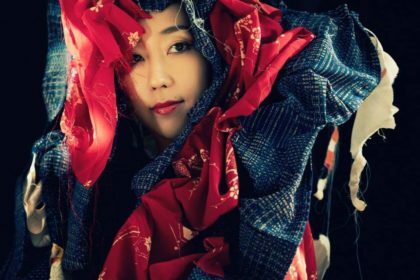 Although some determined souls made the trek to Knebworth for the festival, others were a little daunted by the ticket price, so the follow-up announcement that BABYMETAL were to perform a standalone gig in London was welcome news. As with previous Japanese artists the original venue of choice (Camden’s Electric Ballroom) swiftly sold out encouraging a trade up to the larger Forum up the road. The queuing had begun from early morning – and included some die-hard fans from Japan who were determined to follow the outfit at all their European live shows. Lucky individuals also scored a special sampler CD which contained tracks from Sakura Gakuin and their various sub-units (of which BABYMETAL are but one). 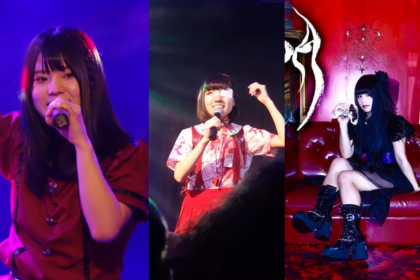 The level of enthusiasm at previous gigs by the Japanese artists, notably Perfume and Kyary, had been keen, but there was something about the BABYMETAL gig that appeared to raise the bar. Here was a bizarre hybrid audience of dedicated Metal and J-Pop fans merging together to pledge their devotion at the altar of BABYMETAL. The fervent chanting of the band’s name by the audience prior to the gig suggested that tonight’s atmosphere was going to be something very special indeed. Certainly one thing that BABYMETAL appear to have got right is their sense of theatre. As the lights dropped, a Star Wars-inspired scrolling narrative was projected telling us about the Metal Resistance and the rise of BABYMETAL. 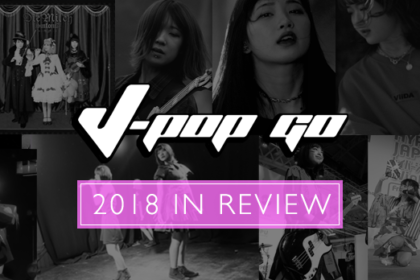 Silhouetted behind an opaque curtain the distinctive shapes of Su-metal, Yuimetal and Moametal appear before it drops and BABYMETAL reveal themselves and the gothic tones of ‘Babymetal Death’ hits the audience. Usually, the crowd take a while to warm up before a concert, but here was a seething mass of coordinated cheering and fist pumps that left little doubt about the zeal the metal trio were inspiring. As well as the blistering tunes, BABYMETAL’s choreography (apparently handled by Perfume’s MIKIKO) demonstrated the energy that the trio were capable of, whether it was all three on stage at once or as BLACK BABYMETAL (the sub-unit consisting of Yuimetal and Moametal). 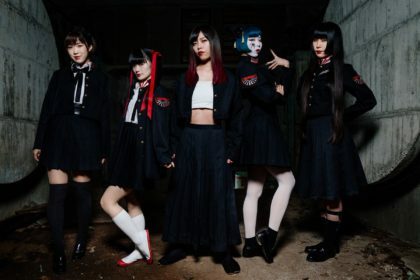 A particularly energetic rendition of ‘Uki Uki ★ Midnight’ – with its mix of Metal, J-Pop and Dubstep gets an enthusiastic response before the girls depart stage left for a break. It’s here that BABYMETAL’s live component The Kami Band get to strut their stuff, including sterling work from famed bassist BOH on his 6-stringed instrument. Su-Metal makes a return to the stage for a solo spot with ‘Akumu no Rondo’ which provides a neat showcase for her vocal talents. Meanwhile, ‘Onedari Daisakusen’ offers a chance for Yuimetal and Moametal to don skeleton tops and provide a BLACK BABYMETAL showcase. A boisterous ‘Catch Me If You Can’ reuinites the trio on stage and inspires some great audience interaction. It’s a moment that’s repeated when the familiar tones of ‘Megitsune’ spark up as Su, Yui and Moa bound across the stage with renewed energy. The pop appeal of ‘DOKI DOKI☆MORNING’ keeps the momentum going as members of the audience indulge in a little crowd-surfing (including a Pikachu kigurumi-clad individual who keeps comes back for several repeat performances…). The concert concludes with ‘Gimme Chocolate’ which sees our trio making good use of the handy risers placed stage front for the girls to perch on. The deceptive intro of ‘Headobangya!’ provides a suitable encore as Su-Metal belts out the crowd favourite. A brief video interlude announces the infamous Wall Of Death which is soundtracked by the guitar-fuelled fury of ‘Ijime, Dame, Zettai! ‘. To finish things off in style, the trio pull up handy UK-themed BABYMETAL flags before the audience is showered with streamers and confetti. 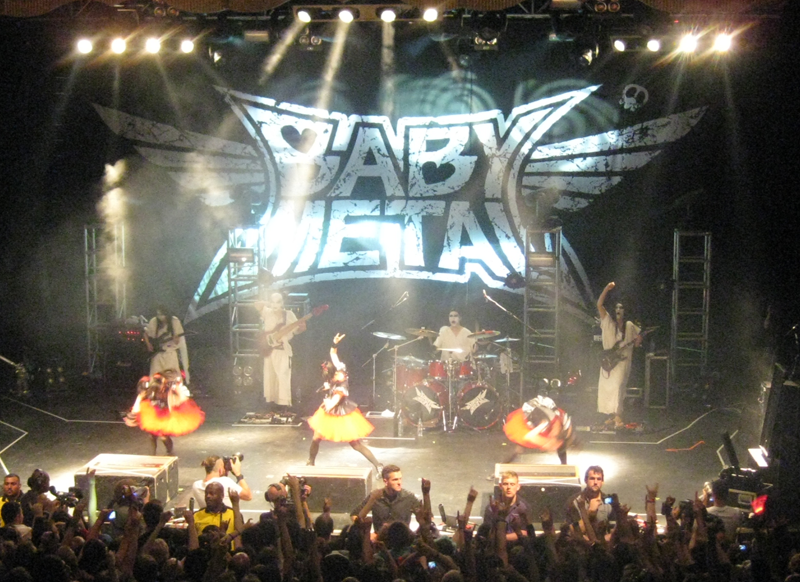 The success of BABYMETAL’s global appeal has been a completely unpredictable event. 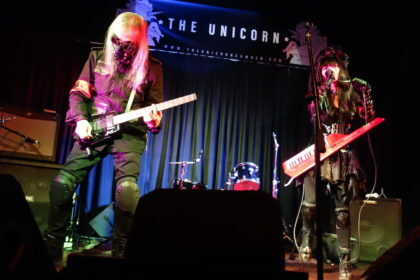 On paper, the concept looks ridiculous or suggests that the trio are purely a novelty act, but the fact that their eponymous debut album has an abundance of tunes – coupled with the evidence that they can put on an energetic live show – suggests that our heavy metal trio will be doing a welcome return bout in the UK before long. BABYMETAL is out now and available on iTunes UK and Amazon .